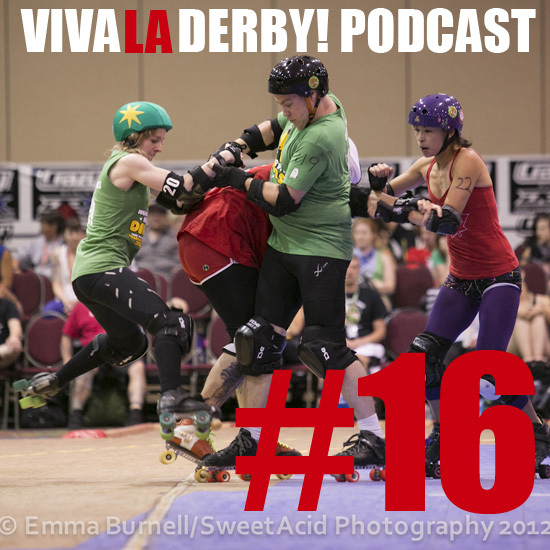 After a much to long break, the VLD crew are back with OLD audio for Episode 16 of the VIVA LA DERBY! 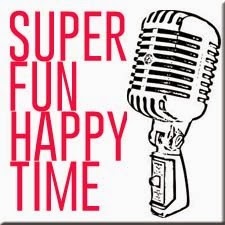 Podcast. But never fear, a newer fresh episode, is only a couple days away. So, there's no scores. There's no upcoming bouts. 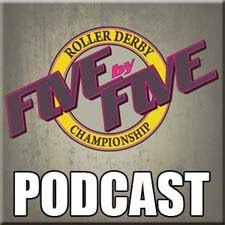 But there's a tonne of info from Rollercon Vegas, a bunch of debate on some relatiively old news, and a bunch of laughs. If you answered yes to either of these questions then have we got a Wicked deal for you. 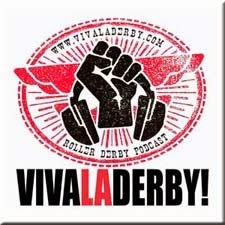 It's the first ever VIVA LA DERBY! and clothes super team up. We're bringing podcasting and garments together and are now selling our own swag through our very own store. This episodes badass photo of a rare pegassist caught in the wild with Bomb Jones and Adamantium was taken by Sweet Acid Photography @ Rollercon 2012.